Mike David, owner of THE RED BAR COMEDY CLUB, has asked us to plug the upcoming Todd Glass Show. Now if your not familiar, Red Bar is one of the hottest venues for comedy in the city of Chicago. The club has a classy old school Vegas vibe and they run a smooth operation with great service, I recommend it. Check out this press release. 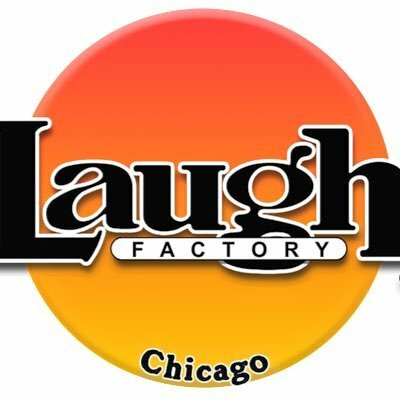 "After only a year of being open, The Red Bar Comedy Club has proven to be one of Chicago's hottest spots to see stand up comedy. 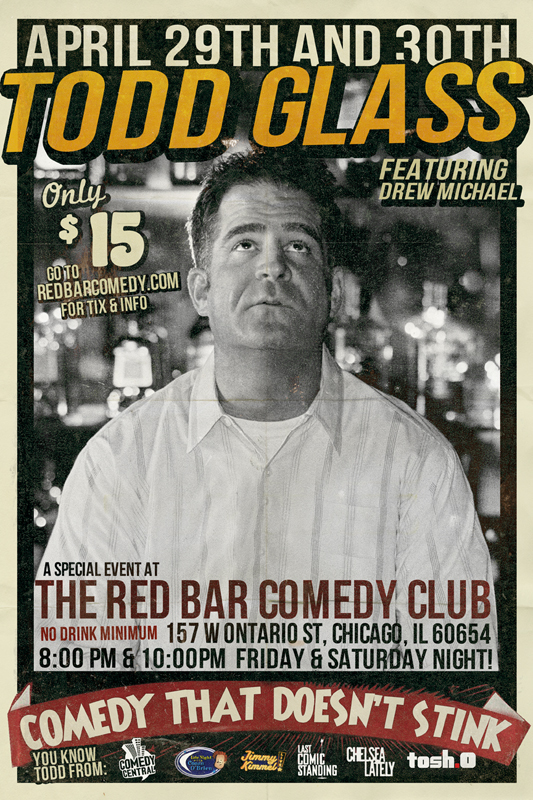 With the club's first year of shows being mostly made up of local stand-up favorites, Red Bar now moves towards bringing in the nations top stand ups, starting with comedian TODD GLASS on April 29th and 30th. Glass is a stand up savant who started performing at the age of 16, and has since toured the globe, making regular appearances on Conan, Jimmy Kimmel Live, Comedy Central, and NBC's Last Comic Standing. Glass has spent years honing his outrageous, off the wall sense of humor in front of sold out crowds across the country, and has toured with comedians such as Sarah Silverman,Louis C.K., and David Spade. 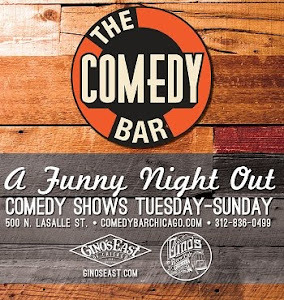 The Red Bar Comedy Club promises to bring in some big names and heavy hitters this summer in hopes to have Chicago enjoy the absolute best in stand up at an affordable price. Tickets for all shows will only be $10-$15, and NO DRINK MINIMUM will be enforced"